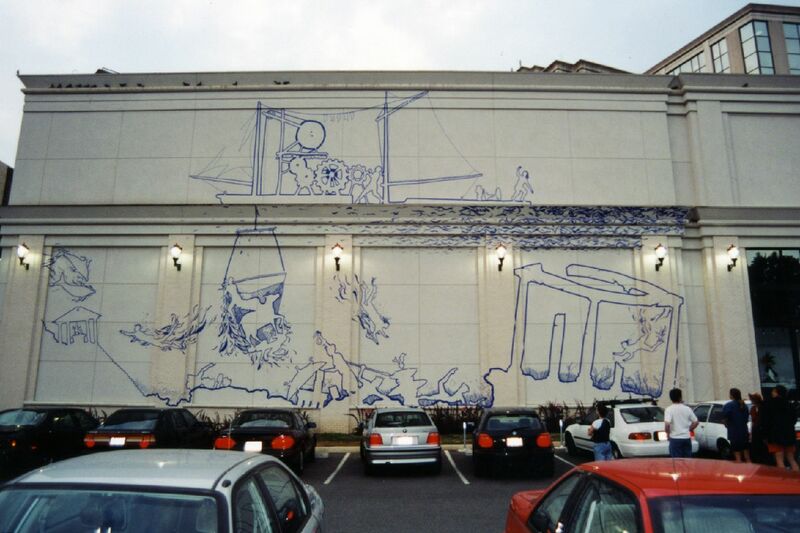 A big beautiful mural about underwater treasures. Divers here explore the sunken ruins of murals from Tape Art past (including the statue from the Hygia mural in 1998). Our first attempt at Tape Art stop animation. Animated and edited in 24 hours.